Sir Bob Geldof was honoured with the Lifetime Achievement Award at The Irish Post Awards on Thursday 23rd November 2017. World renowned musician and songwriter Johnny McDaid received the Outstanding Contribution to the Music Industry Award, Olympic medallists Paul and Gary O’Donovan were honoured with the Outstanding Contribution to Sport Award, Baroness Karren Brady of Knightsbridge received the Outstanding Contribution to Business in Britain Award, Singer Imelda May received the Artist of the Year Award, Danny O’ Sullivan was honoured with the Community Award for championing the Irish in Britain, and Ground Construction Ltd won the Building Britain Award. 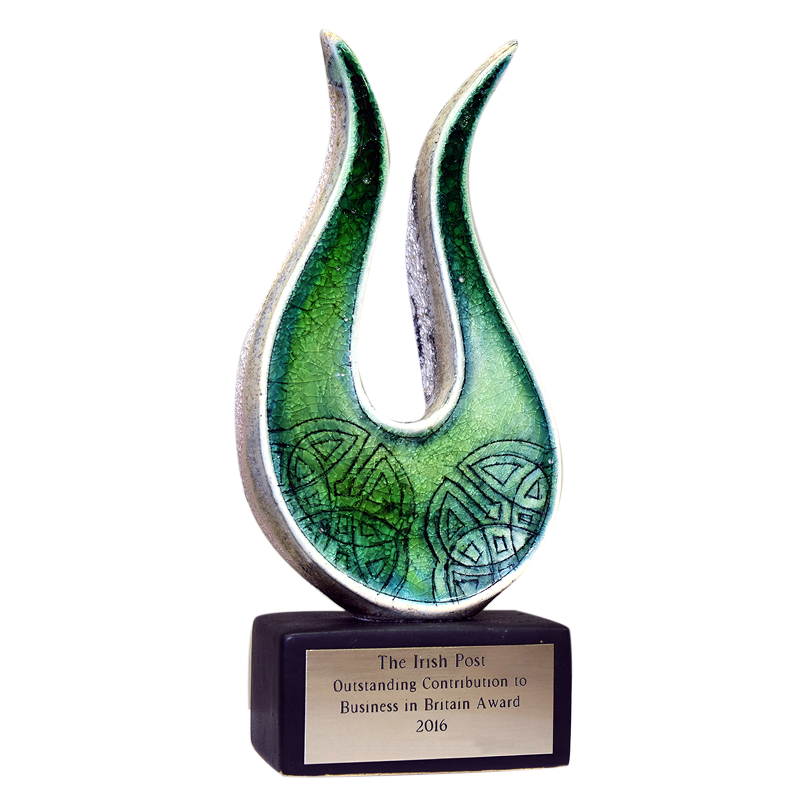 The Irish Post Awards have acknowledged excellence in the Irish in Britain since their founding in 1977. These prestigious Awards are recognised not only in Britain but around the world for the Irish diaspora. In our foundation year of 1977, our first accolade was awarded to community institution, the London Irish Centre and this institution is still thriving today. Through the year’s we have recognised luminaries and noted their significant contributions as they also at times have achieved global acclaim. In 1985, we honoured Sir Bob Geldof in the year of his enormous worldwide “Band Aid” appeal. In 1990, we applauded the impressive early career of Mr. Daniel Day Lewis, who went on to be a three time Oscar recipient and whom Time named the “World’s Greatest Actor”. Trainspotting was the film that defined a generation in 1996 and we were thrilled to Award, director Mr. Danny Boyle at our ceremony. In 1998, we acknowledged the hard work and perseverance of Dr. Mo Mowlam and the signing of the historic Good Friday Peace Agreement. The millennium year of 2000 saw us celebrate one of the greatest musicians of all time, Mr. Liam Gallagher. In both the years of 2006 and 2007, we had venerable businessmen highlighted with Dr. Peter Sutherland and Mr. John “The Green” Murphy honoured respectively. Each of these people and our recent recipients shares a resolute desire to succeed along with an enterprising spirit and a passion for Ireland and this is embodied in our Awards categories. and about the Irish community. past five years it has grown to become the largest Irish business event in Britain. of the most outstanding Irish individuals of our time.